CT2618 - 13 oz. 75% Cotton/25% polyester blend. Attached jersey lined three-piece hood with draw-cord. Front hand-warmer pocket has a hidden security pocket inside. Stretchable, spandex-reinforced rib-knit cuffs and waistband. Rain-Defender® durable water-repellent finish. 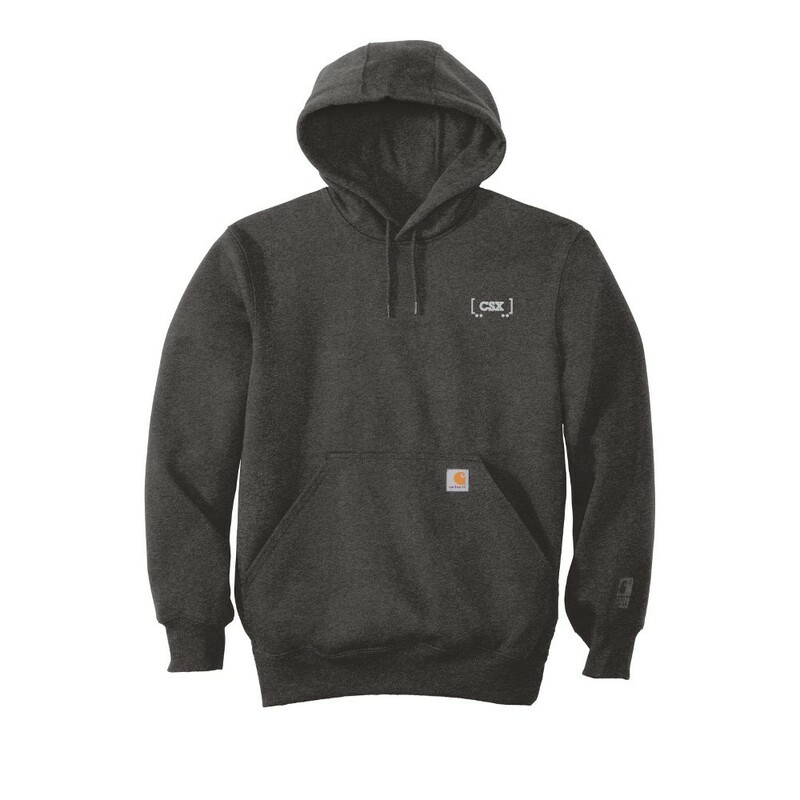 Carbon heather grey with CSX railcar logo embroidered in silver on left chest.